In the event of an outage or downtime, Call-Em-All will update our Status Page to show real-time updates as we resolve issues. 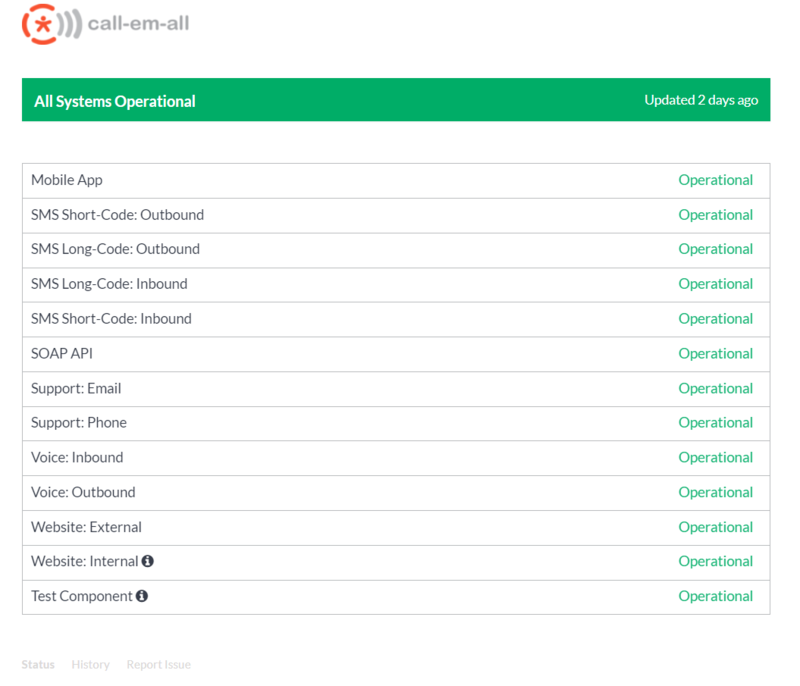 If you are logged into your Call-Em-All during a period of downtime, you'll see a message on your Home screen that will automatically update as we work to resolve the issues. You are also welcome to reach out to our Customer Experience team with any questions you have! Email us at info@call-em-all.com, call us at 877-226-3080, or leave us a message using the chat icon in the bottom right of your screen.